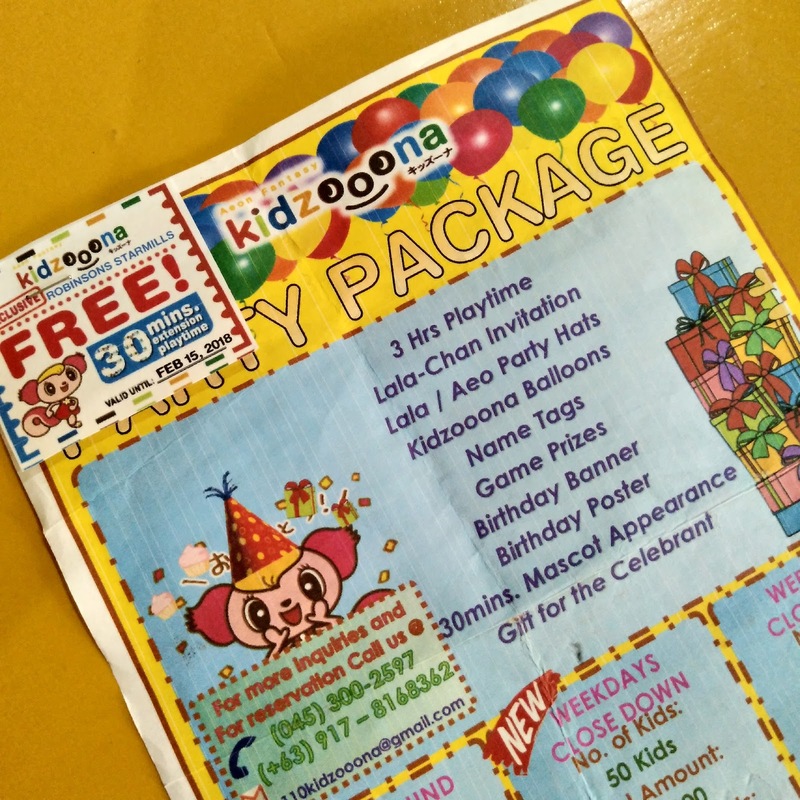 Baby was barely a year older when he first tried to explore the wonderful world of Kidzoona. 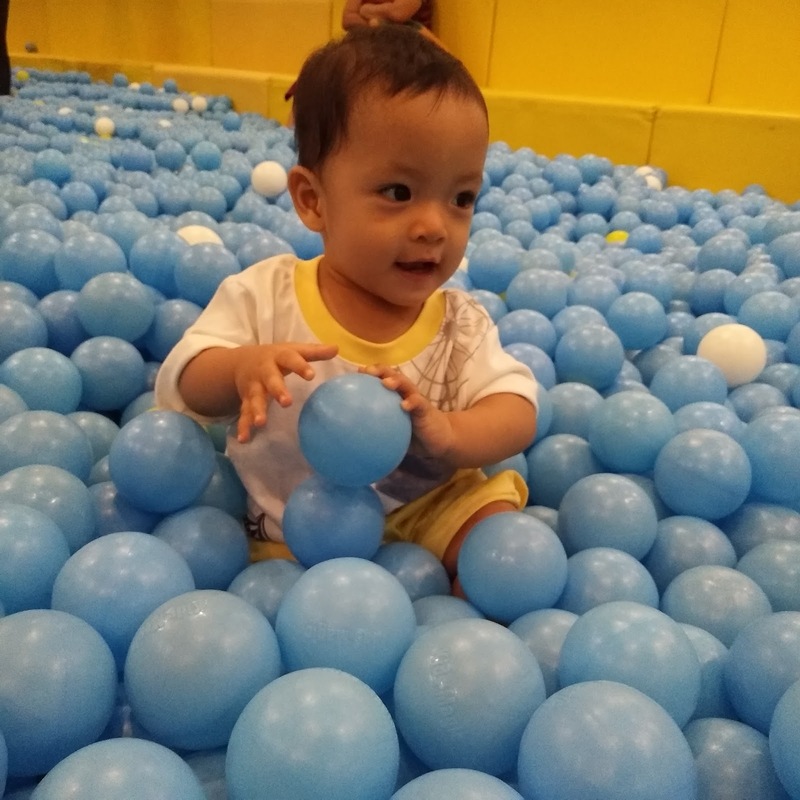 It was last July last year when we had the chance to play inside the said establishment and baby liked it so much. This post was way too late because, well, I just established this new mommy blog so I'll be only posting it now. I remember he can barely walk straight by himself during that time but that didn't stopped us on trying something new for him. 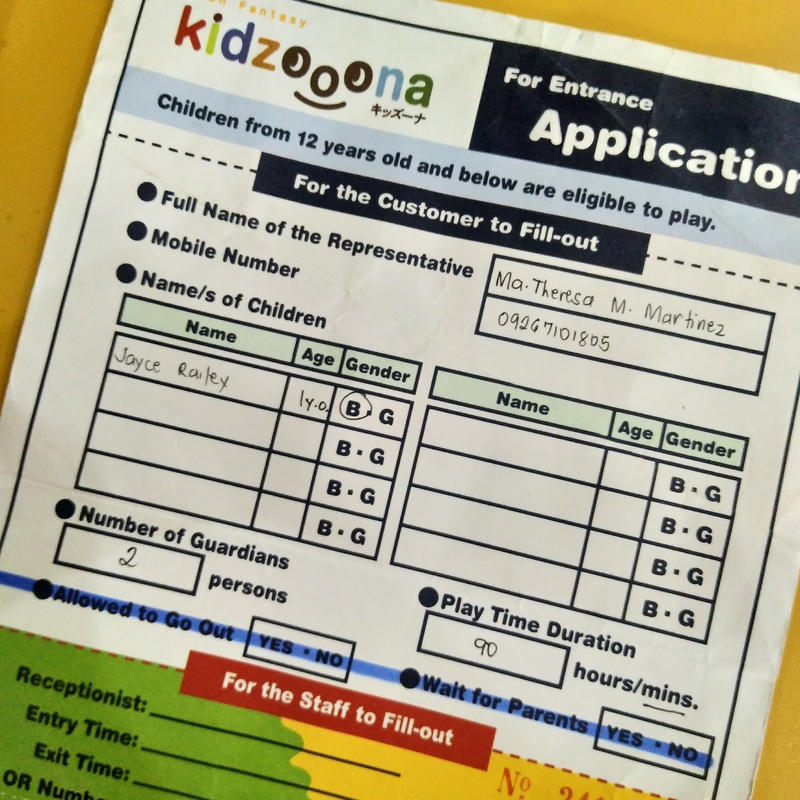 Kidzoona is located at Robinson’s Starmills, Pampanga. 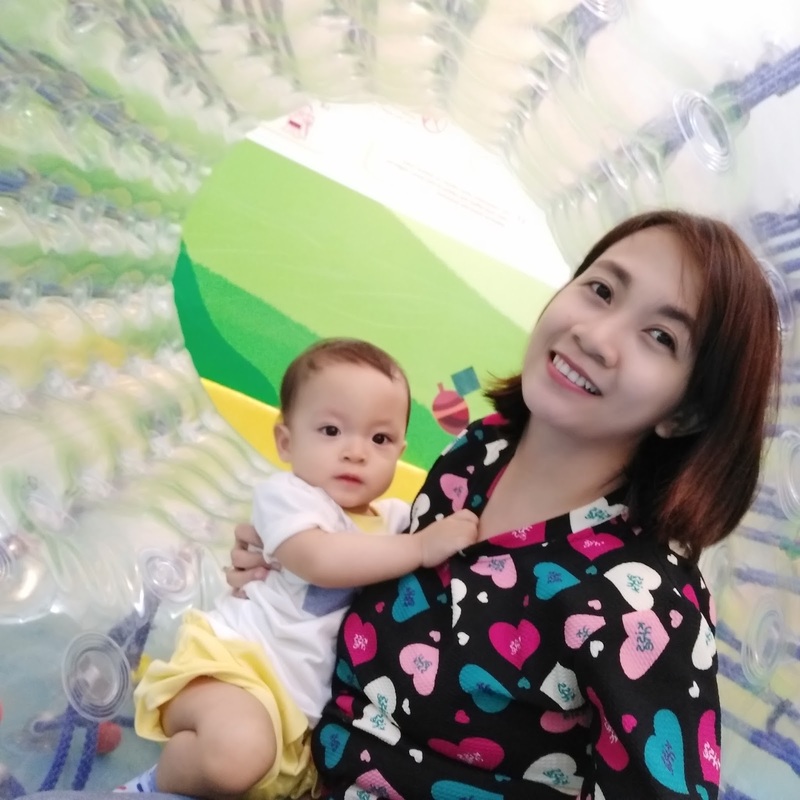 That experience is a first for both baby and me. 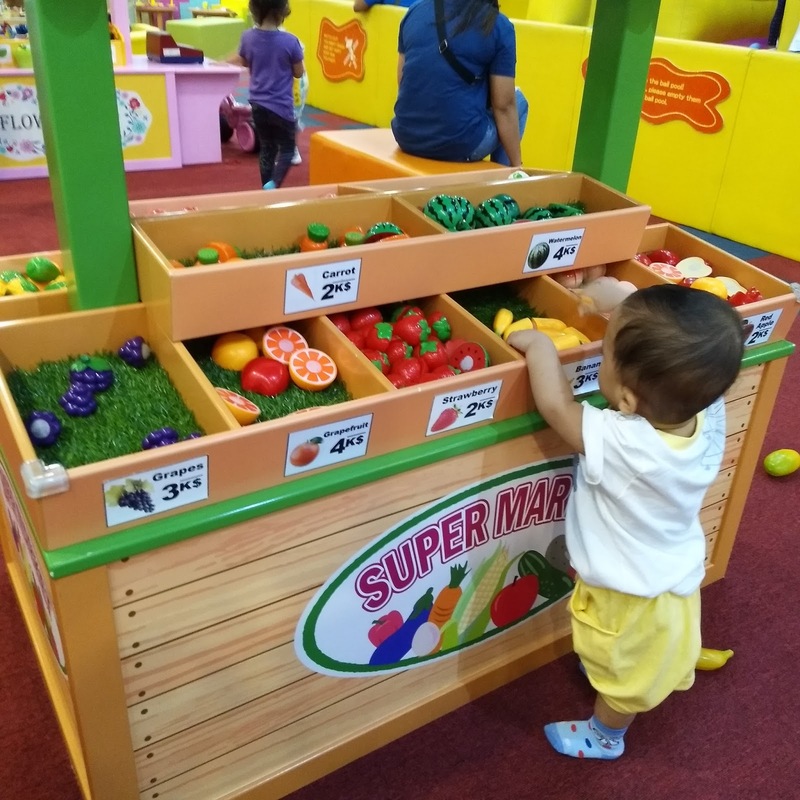 We actually just went to the mall to buy groceries that time and since we have time to spare, we decided to try it out because we saw that he was eager to get inside the place when we passed by. Upon entering, we were given a form to fill up. 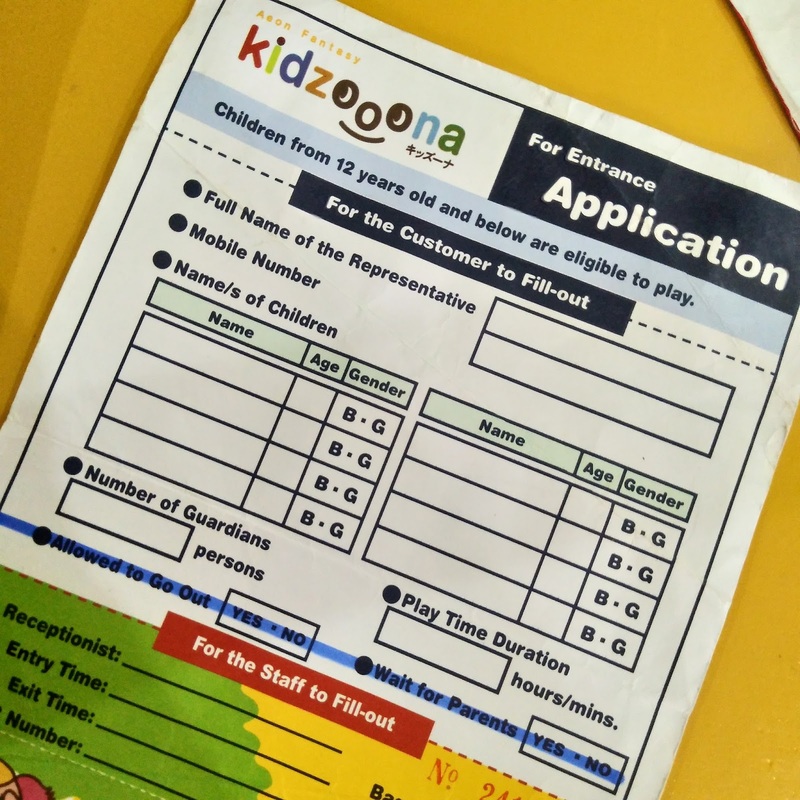 In that form, you need to indicate your child's information. It is a requirement that every child must have a companion when they get inside. In our case, we chose that I will be the one who will go inside and his dad will just stay outside and roam around the mall. 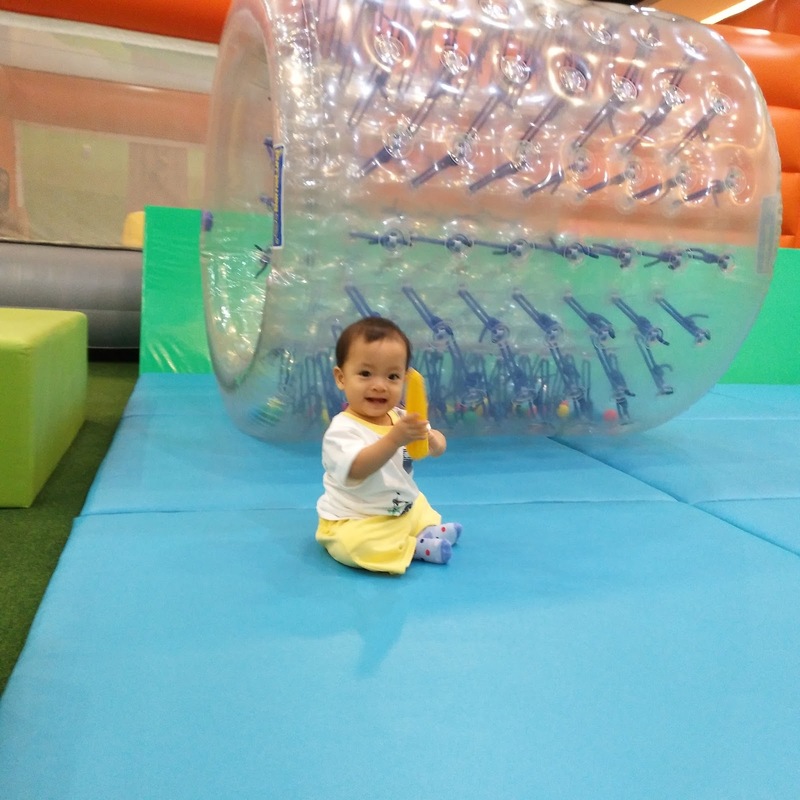 I knew that being with baby inside is an opportunity take photos inside and blog about the whole thing so I agreed. 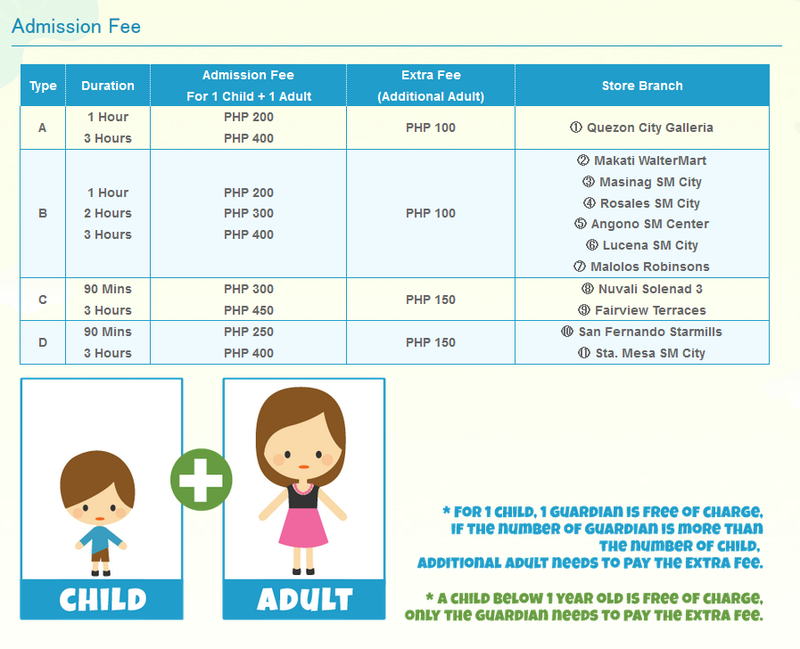 Since baby was barely a year old then, he is free of charge and I just need to pay my extra fee which is P150.00. Upon getting inside, both of us needs to have socks for safety so it's an additional P40 each. If only I have known, I would surely have brought us some socks to save money. Once the payment has been settled and the form has been submitted, they will then give you a key for the locker where you'll keep your valuables and shoes. The place was a bit big and there were different booths such as the doctor's office, market place among others. There were also ball pits and the like. 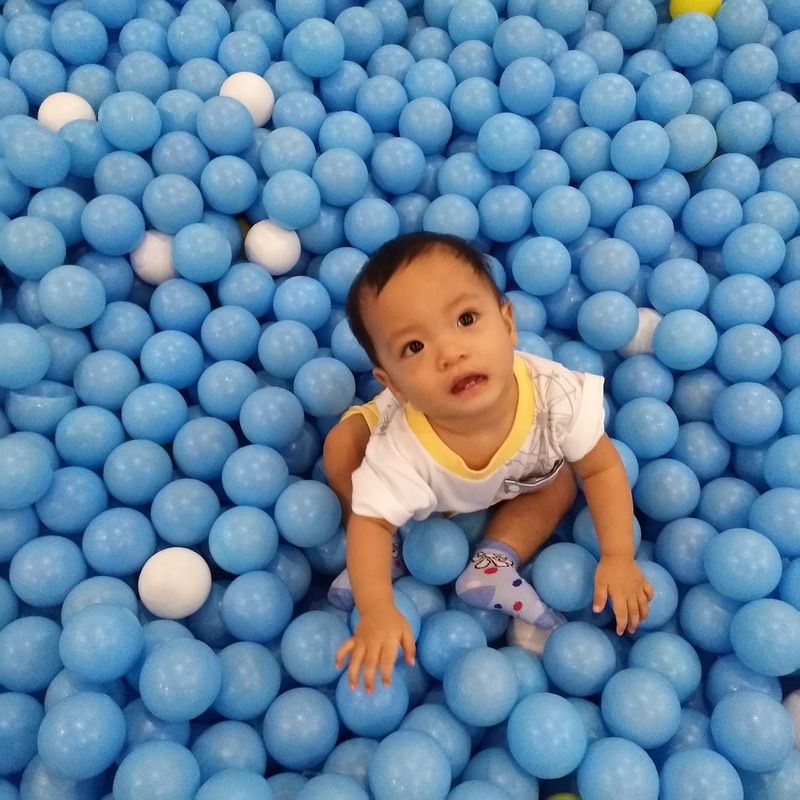 It was what baby like the most: ball pits. 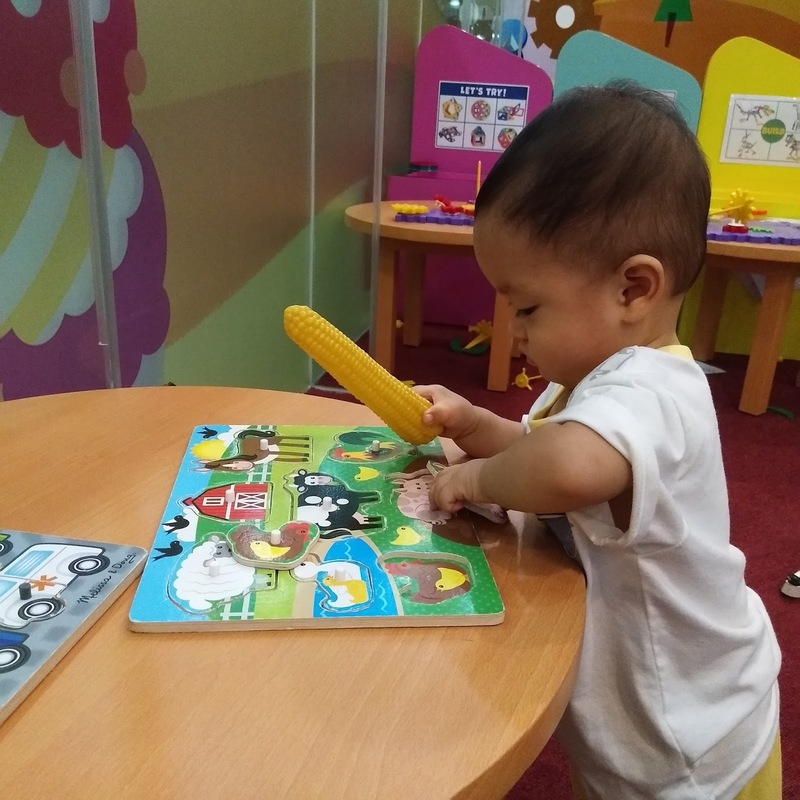 On the corner part, educational toys which enhances sensory activities were present on tables. 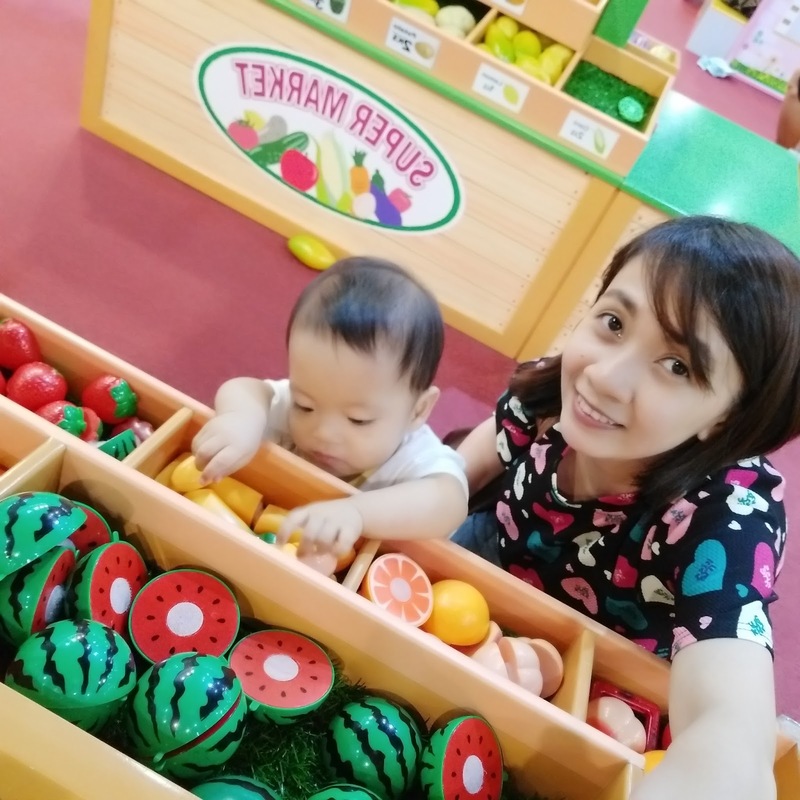 I like these types of toys because I know it is good for children. 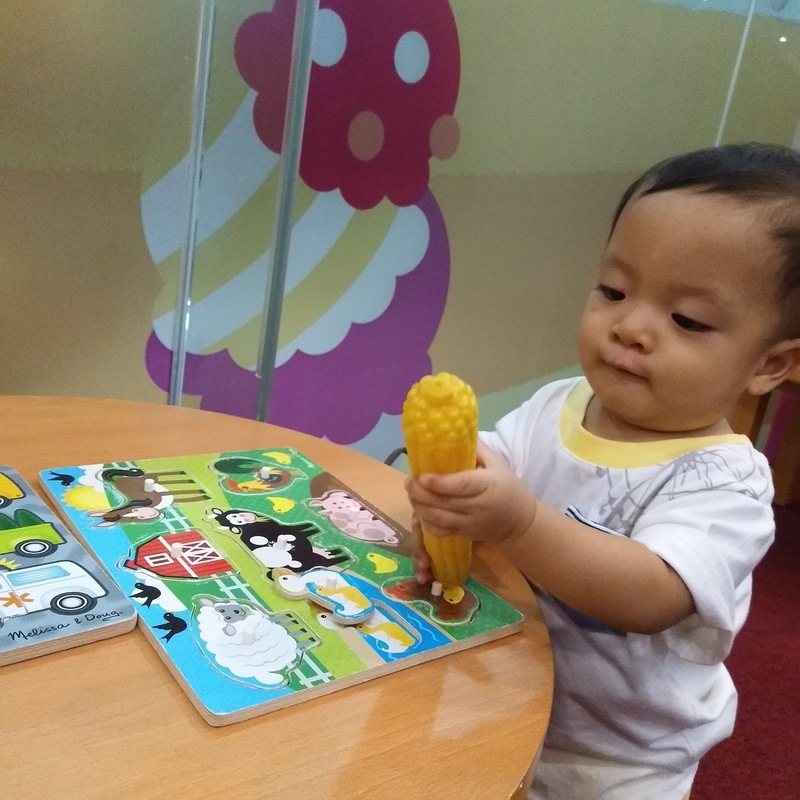 I actually noticed that baby loves the corn toy so much that I had to buy him one for himself because he likes the texture of it. 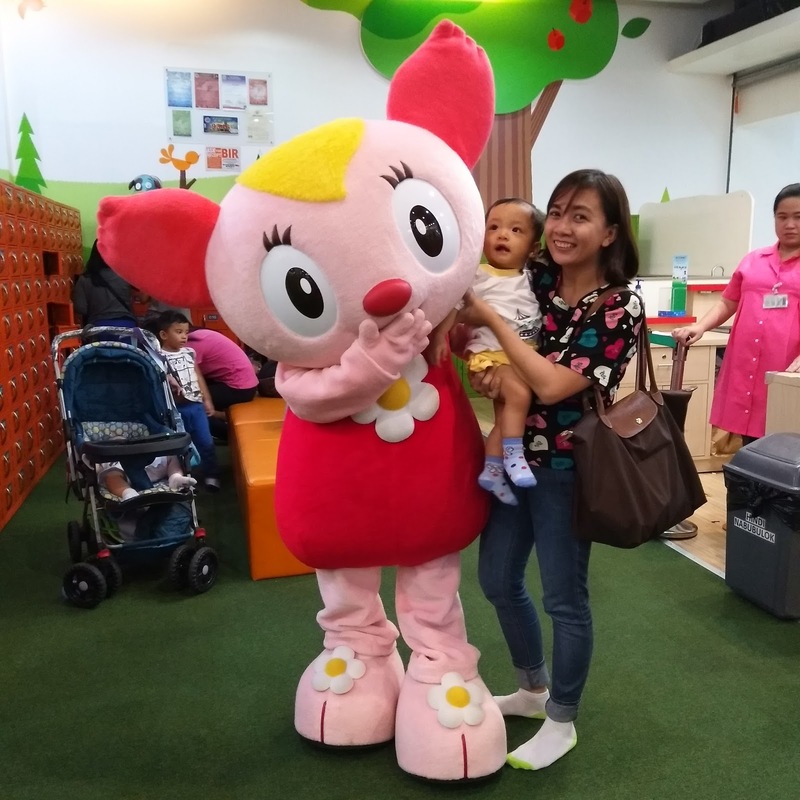 There was also a time that Lala Chan showed up and played with the kids. We just had a photo op with her and she was gone suddenly. I think she just stayed outside for around 15 minutes. 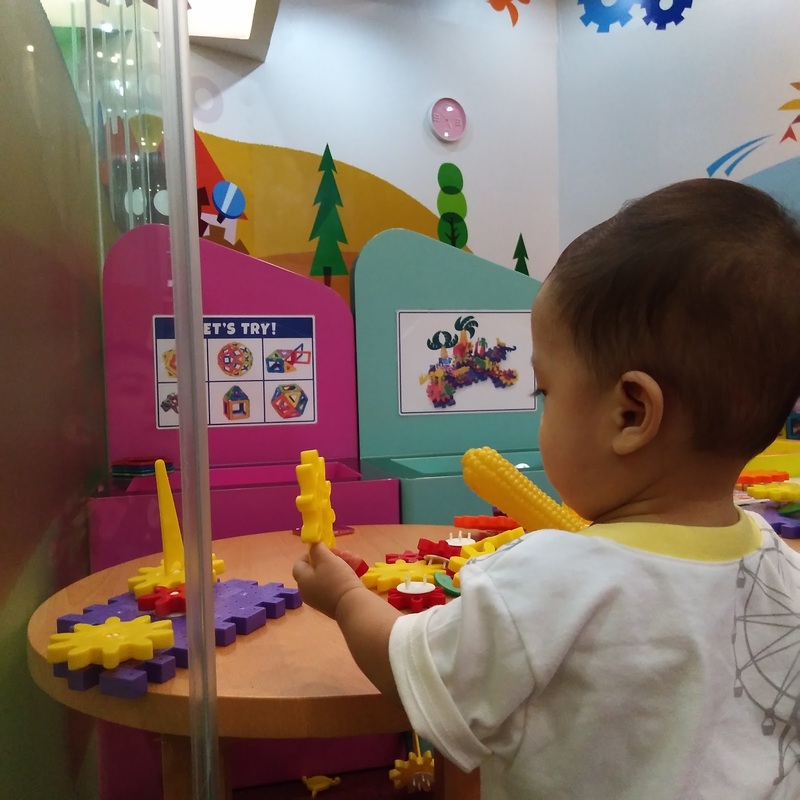 The whole duration is 90 minutes but since baby wasn't able to fully utilize the stuff inside the premises, we had to finish early. 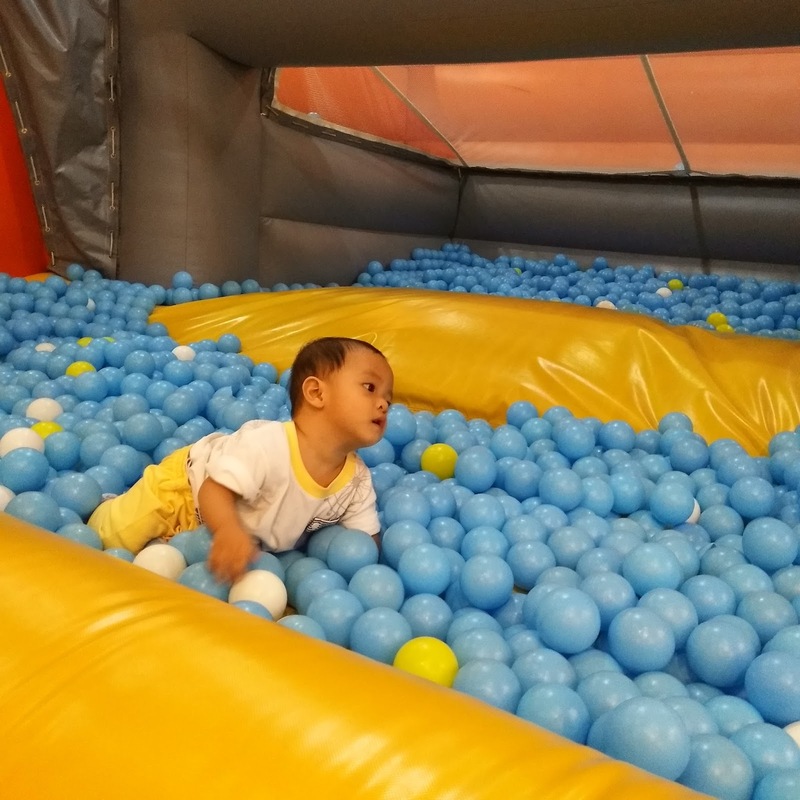 (There's a slide and deep ball pit that he can't go into) He can barely walk and can't really be left alone. I had fear that other kids might stepped on him or bumped him because there was a quite number of children that time and most of them were running back and forth. Taking photos was even difficult because I always need to be attentive for I might lost him during the picture-taking process. Every second is precious on kids like him. We may never know what might happen if I dedicate myself on just solely taking photos and not monitoring him fully. I should have let his dad get inside as well so that we had more chance to take pictures with him on every spot. 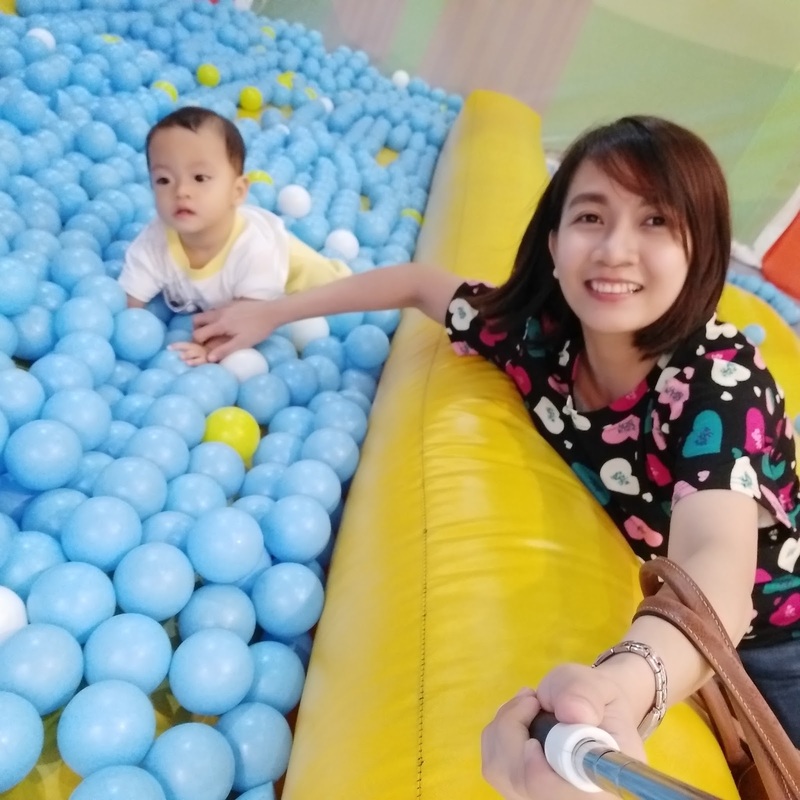 Regardless of the situation, we still managed to let him explore and I knew that despite the factors preventing him to play much, he enjoyed it so much! He's very alert and loves all the colors that he was seeing. He was always smiling the whole time. Upon checkout, they gave us a discount flyer for our next visit. Additional 30 minutes extension for FREE! Sadly, we didn't got time to avail it. For rates in every branch, kindly refer to the list below. 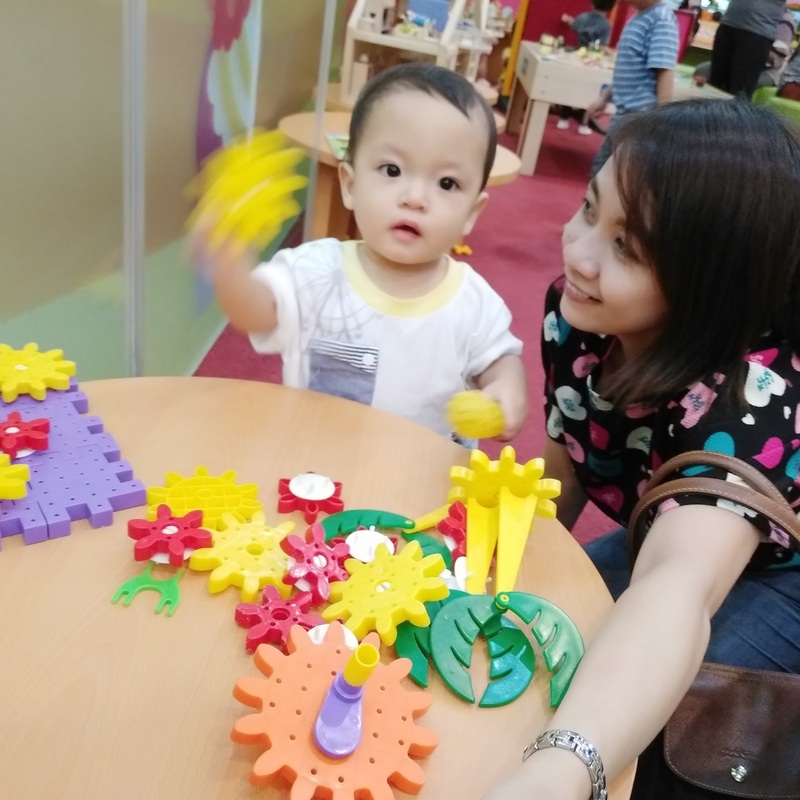 Overall, we enjoyed Kidzoona and was thinking of bringing him back again when he can be left alone. Not all alone by himself, but of course, with us on the sides. 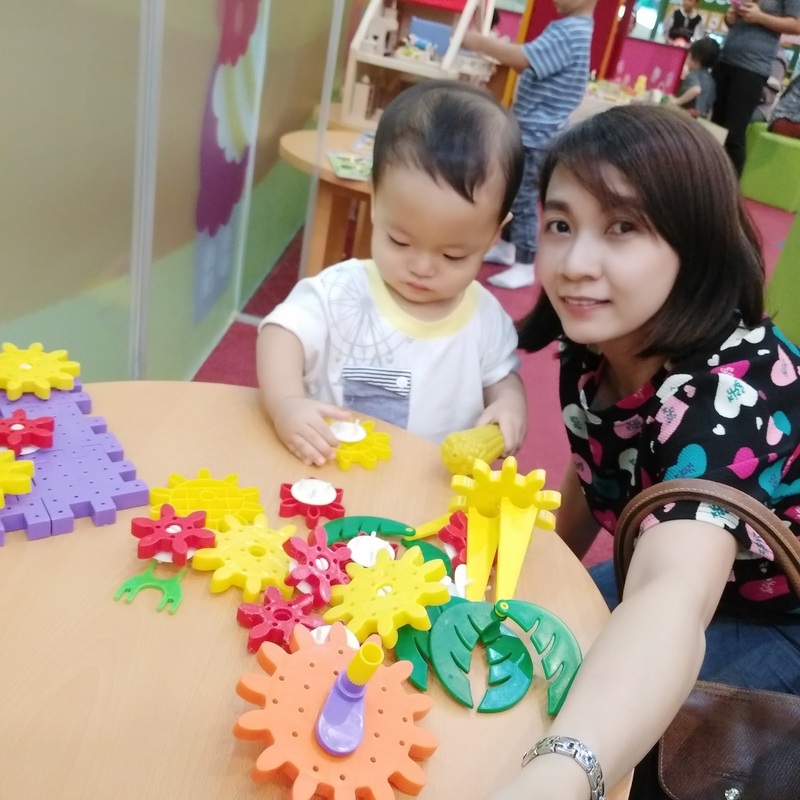 Actually, now is the time because he loves walking and walking and playing now. 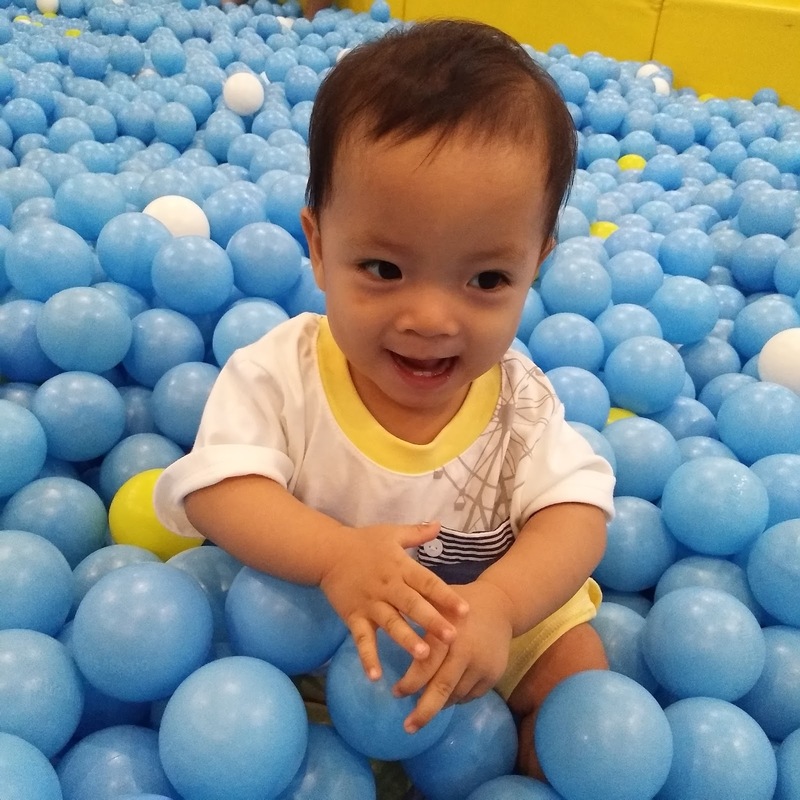 I am guessing that once he's back, he will surely go in the ball pit again. Plus he will surely explore every nook and crook of Kidzoona. 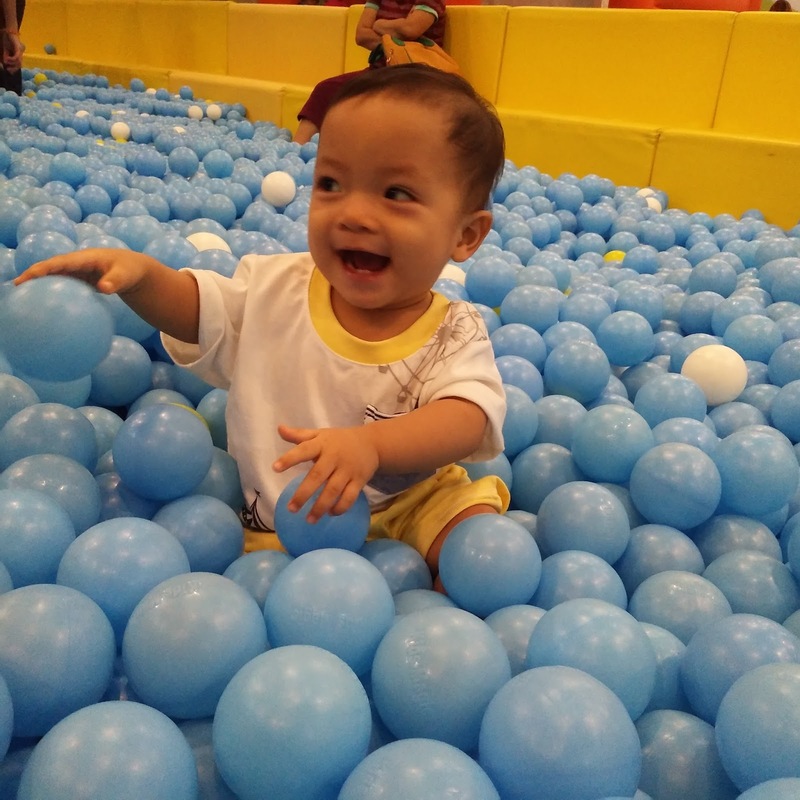 My son was also crazy over ball pit. 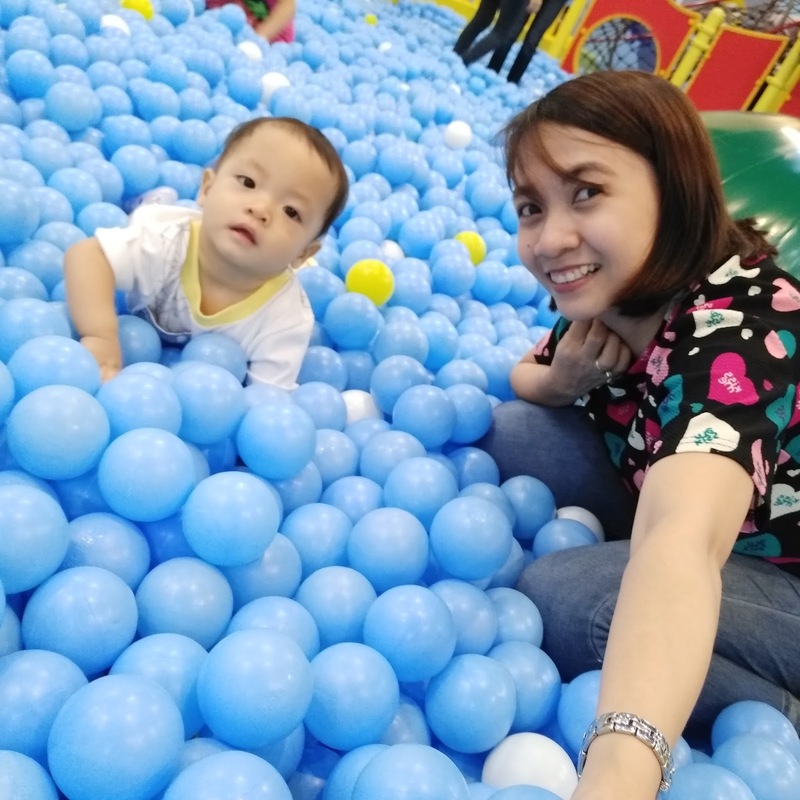 We visited a play area in Venice Grand Canal Mall, our first and only visit on such play area as of now, and he stayed in the ball pit for 40 minutes just throwing balls. Your son is so cute by the way. Same mommy. I was wrong all the time. 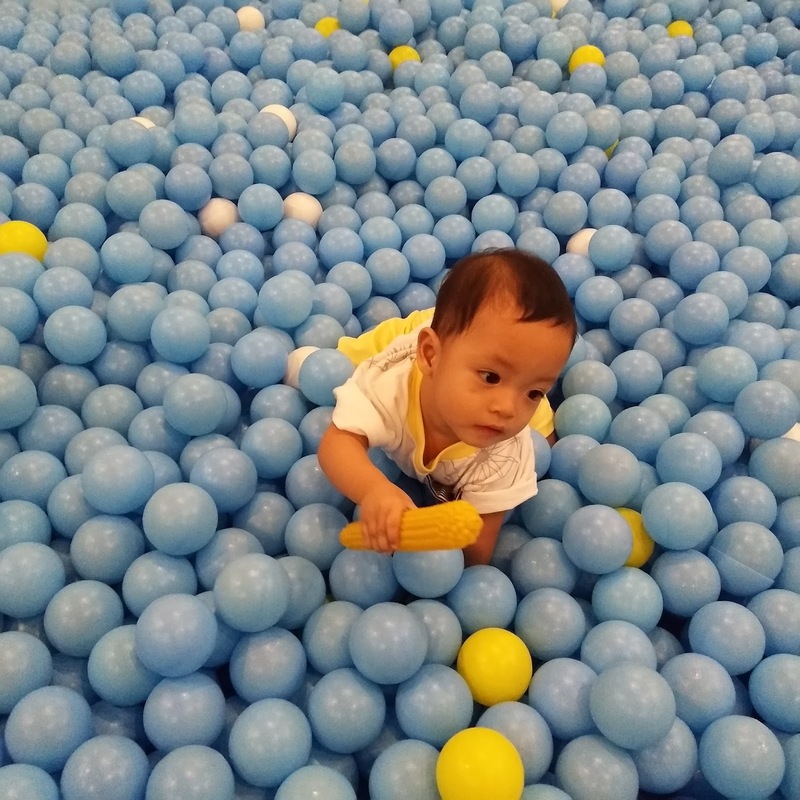 We tried to let him play in the ball pit as we enter the play area. 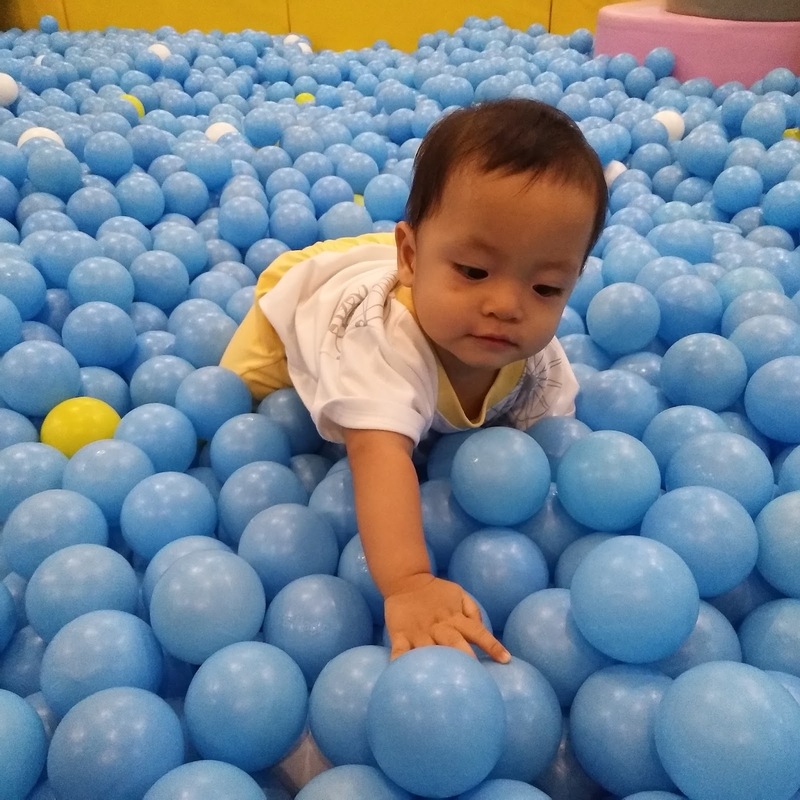 Then after some few minutes, I tried to bring him far from the ball pit but he would come back to the ball pit. 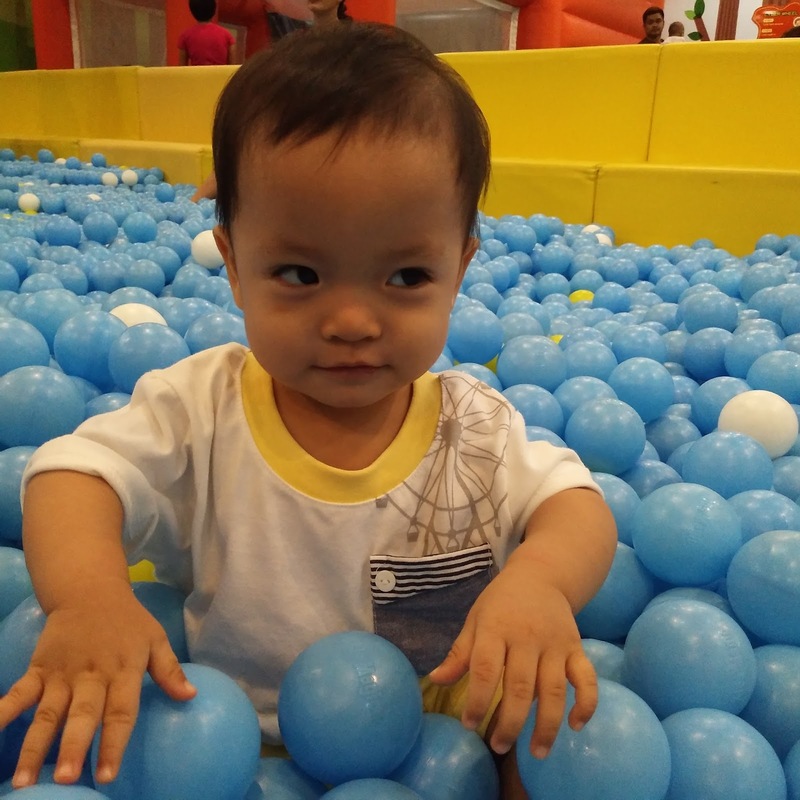 Almost all the time that we were there, he just played on the ball pit, even when left alone. I should have introduced him on the other areas first before plunging in the sea of balls.